If you’ve been keeping tabs on our recent posts, you will remember that we’ve talked about Skype recently. We showed you how to download and install Skype on Windows 8, Windows 10 and Windows 8.1, about how to update your Skype app or desktop client to the very latest version and even how to uninstall Skype if need be. 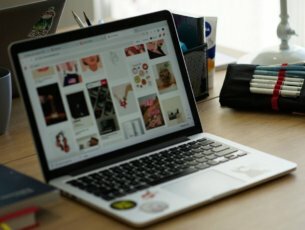 However, if you are not familiar with Skype, and you’re using it for the first time, then you will need a quick guide on how to use Skype efficiently.We’ll be taking you through the features that Skype provides and this crash course will give you the information you need to use Skype to talk to all your friends. Seeing that there are two versions of Skype available for Windows 10, Windows 8 and Windows 8.1 users, a desktop client and a Store app, we’ll show you how to add contacts to your Skype list on both of them. You’ll see that Skype is very easy to use and you’ll have all your friends in your contacts list in no time. Skype uses the name of a person for searches, so if you want to add one of your friends that has a Skype ID, it’s as simple and searching for his name and selecting him from the results. 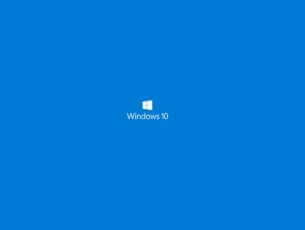 In Windows 10, Windows 8 and Windows 8.1, the process is very fast, and you will see a result within seconds. In the Skype app for Windows 10, Windows 8, you can find the “Add Contact” button in the bottom menu. To access this menu, you will have right click if you are using a computer, or swipe from the bottom of the screen to reveal it. By clicking on the button, you will see a search window open. In this window, search for your friend’s Skype ID or name and you will see a list of results. Just select the one that is correct and once you’ve opened his page, you can send them an friendship request, or an IM. 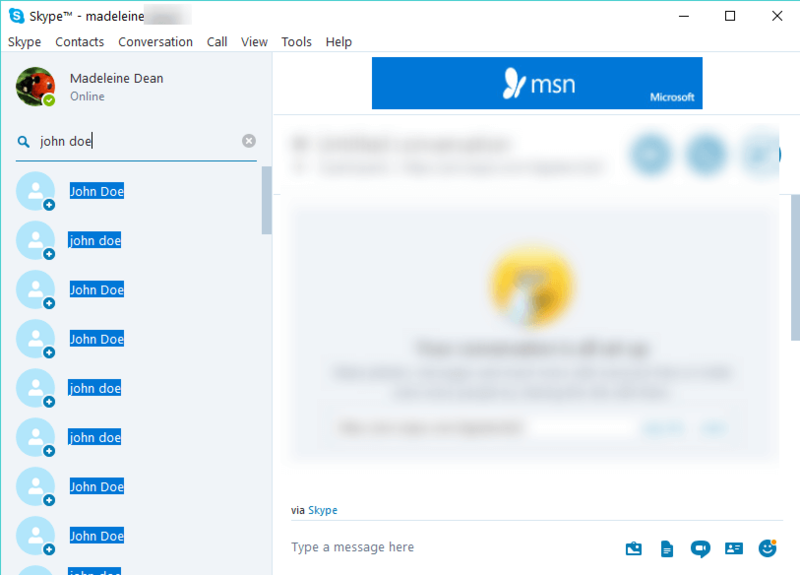 In the Skype Windows 8, Windows 10 desktop client, once you’ve signed in to your Skype ID, you will see a main window on the right, where the conversations will be shown, and a list of contacts on the left. To add a new contact, all you need to do is click on the “person icon” that has a “+” sign next to it. You will find this button between your name and your contacts list. After clicking the icon, you will see a search bar appear, here, you will be able to search for the person that you want to add. Skype is all about calling your friends and eliminating the need to type and send IMs. If you’ve added your friends and they have accepted your request, they will appear in your contact list. Now, if you want to make a voice call (without video) on your Skype desktop client, you can just click on their name and in the main portion of the screen, you will see the IM window where you can talk to your friend. In the top part of this window, you will see your friend’s information, avatar, what time it is where he is (useful if you have friends from different countries or continents) and other information. Also in this portion, you will see the green button that says “Call“. Skype allows two ways of calling friends: over the Internet, which is free, but it requires your friend to also have a Skype account and be online, and to call them directly on their mobile phone. However, the latter option requires your friend’s phone number and your account to have purchased credits. In the Skype app for Windows 10, Windows 8, you only have to click or tap on the person you want to call, and on the left side of the screen, you will see the option to call them. Besides this option, you also have the possibility to send files, video messages or create a group. Even though Skype is a very good IM client or voice calling client, it’s main feature, and the most known is the video call option. 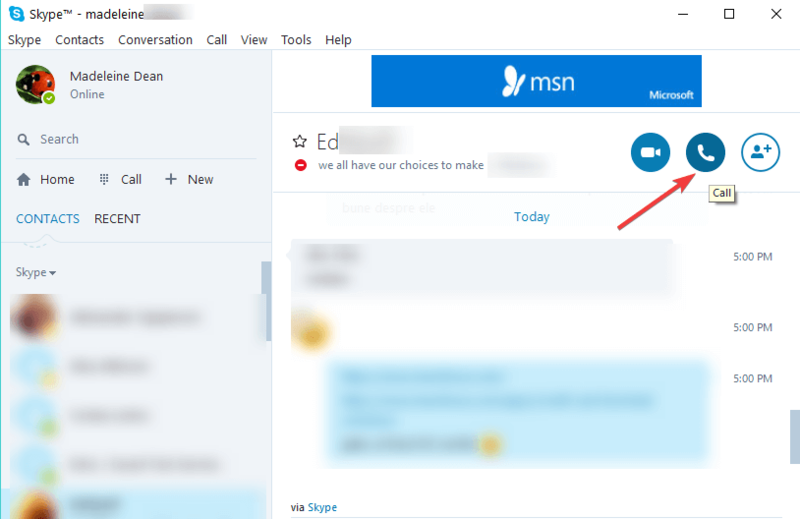 This feature has become synonymous with the Skype name and there are many users out there that only use this feature. To make a video call in Skype, you have to same thing as you did before, when you engaged in a voice call, but now, click or tap on the “Video Call” button instead of the voice call one. Notice that in the Skype Windows 8, Windows 10 app, the two buttons are placed side-by-side, but their icons are different: for video calling you have a camera icon, while for voice calls, you have a phone icon. In the Skype desktop client, you will see that each button has the corresponding name, and in order for you to make a video call, you will have to click or tap the “Video Call” button. Note: For you to make a voice call, you will need a microphone connected to your device, and if you want to make a video call, you will need a video camera as well. There are many more functionalities supported on Skype. For example, there are plenty of new emojis that you can use when chatting with your friends. Microsoft is also planning to add new features and options in the near future and one of them focuses on gaming. The Redmond giant will add a new Creators Mode to Skype meant to help open up new ways for streamers, vloggers, broadcasters, etc, to make podcasts, record videos, live streams, and more. Speaking of changes, Microsoft will soon revamp the whole Skype user interface. 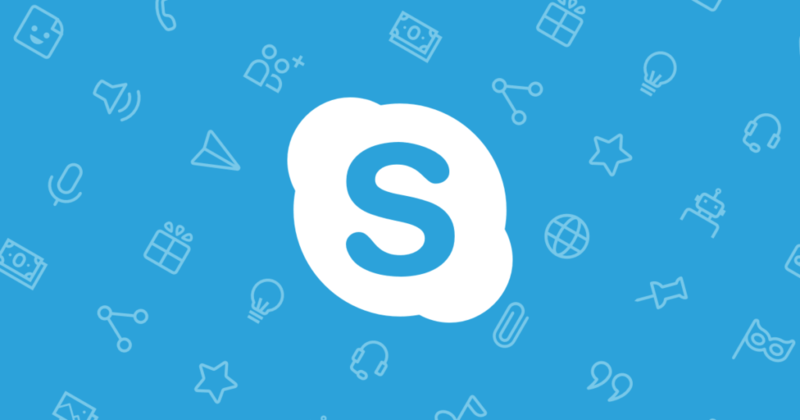 While many users would very much prefer to stick to the current UI design, Microsoft will automatically deploy the new Skype version on May 25.